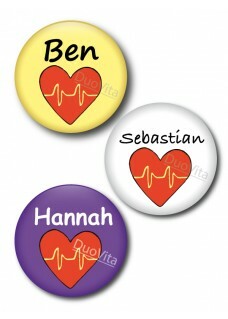 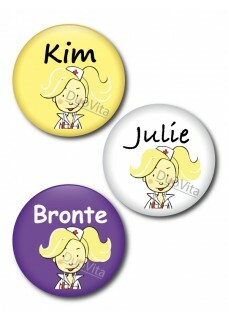 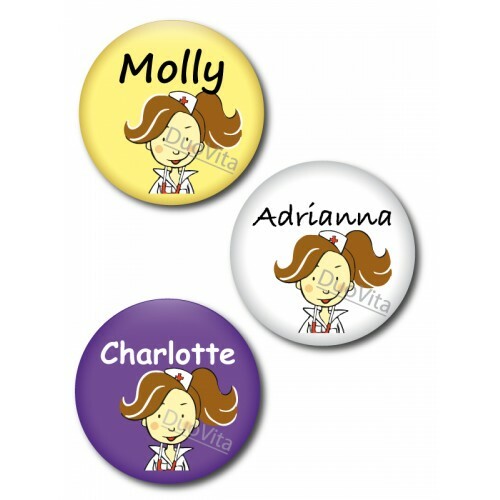 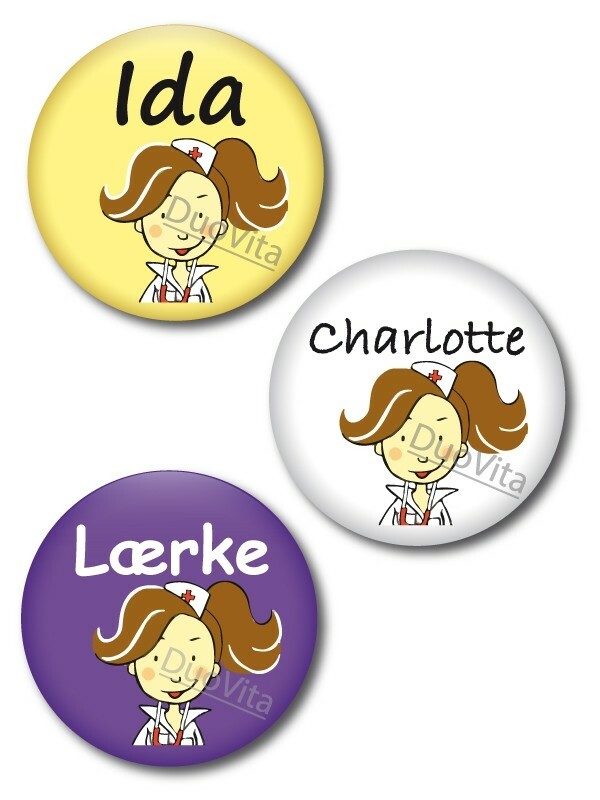 Button Brunette Nurse with your name printed. 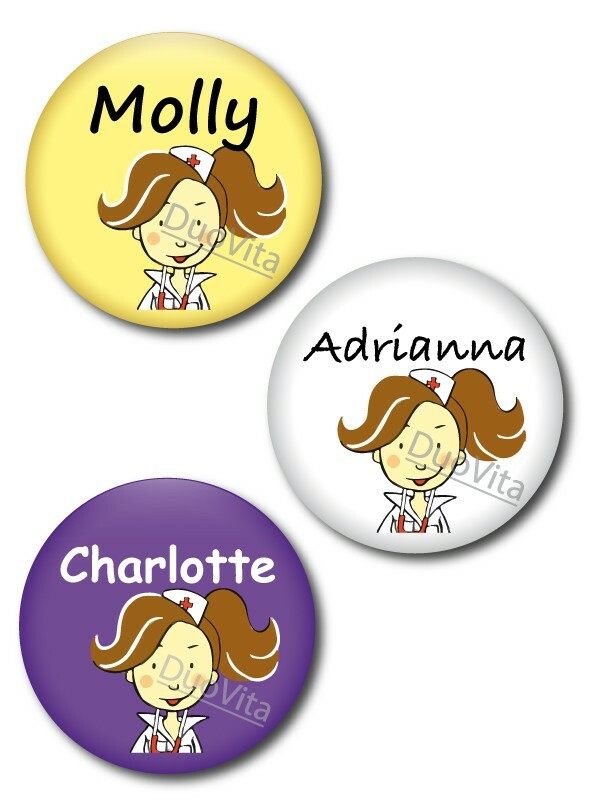 Button featuring a brunette nurse. A name can be printed on this button. You can choose from three different colors. 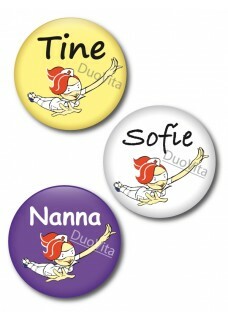 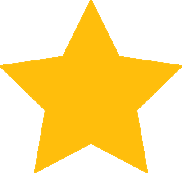 *Pay attention in the spelling! The personalized items can not be exchanged.